How does an artist capture the biggest challenge seascapes present – capturing the water movement? 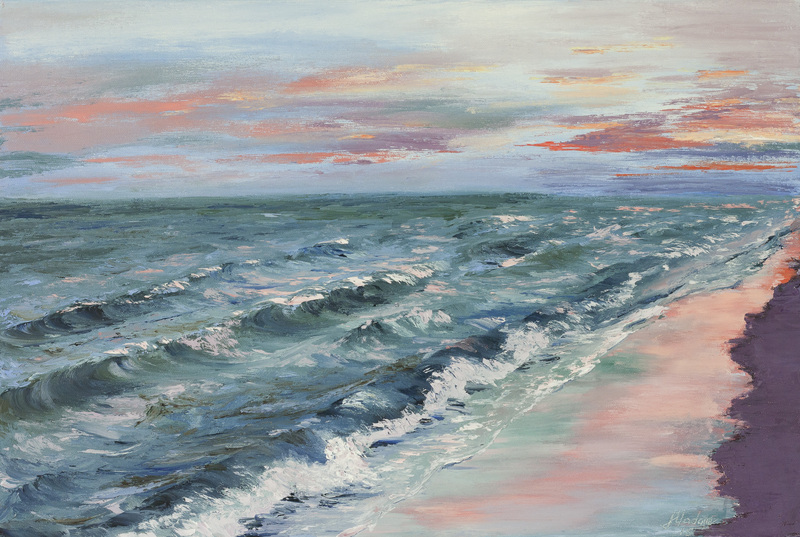 Everyone expresses their own feeling of the sea in their own way in different design and color. This time I was just following my inner self to depict a sea sunset reflecting in the water and the wet shore. I used several reference photographs trying to just select some pieces of information from them and not to rely heavily on the static nature of a picture. 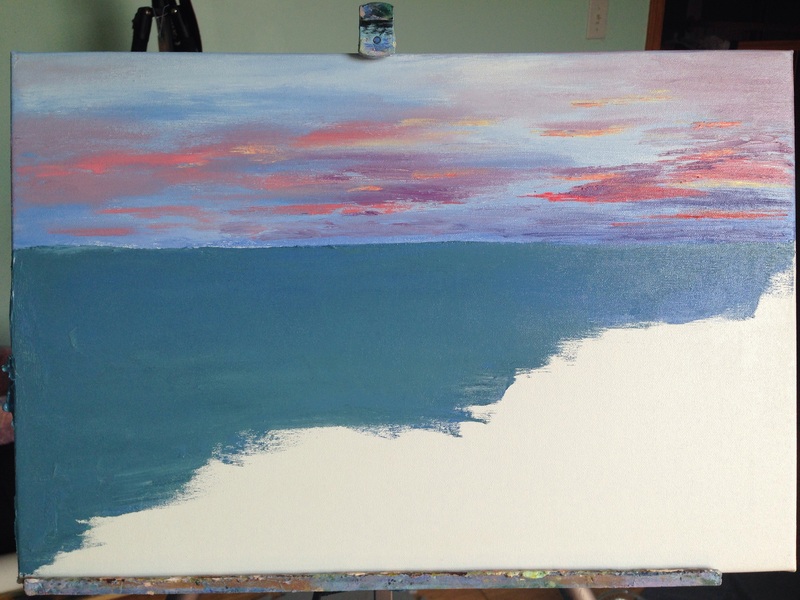 I used my favorite color scheme of purple, blue and pink for the sky. I found that small amounts of paint work wonderfully for the sky and clouds depiction. The sea color was a blue and a brown combination, which gave me the beautiful greenish value.Of course the sky reflects in the water, which added some purples and pinks to the sea, for which I used palette knife strokes. I must admit that playing with contrast values helps creating the sea movement. To build a convincing seascape of impact, light, atmosphere I just simplify the subject. This simplicity is the key ingredient not only in painting but in life as well 😉 Live easily ! 3 Comments on "Abstract sea reflections"
That’s amazing and so beautiful!! You are so talented! !